Fiji’s coral reef ecosystem is the most extensive in the South Pacific and provides fisheries and tourism opportunities that are primary GDP earners and integral to the well-being, culture, and survival of Fijian communities. The southwest coast of Viti Levu, Fiji’s largest and most populated island, is flanked by the country’s longest fringing reef system and has been affectionately known as the Coral Coast since resort tourism began on its shores in the 1950’s. The wide, shallow lagoons filled with colorful fish and corals just meters beyond the white sandy beaches are the icon that made the Coral Coast famous and over the last 50 years has created a thriving tourism economy that today caters to more than 20% of Fiji’s tourists. Since time immemorial, these reefs have supported the subsistence needs of the indigenous resource owners. However, the spectacular reef ecosystem that became the icon of the Coral Coast has been degraded by the compounded effects of local impacts from high fishing pressure and coastal development along with climate change stressors threatening the backbone of the local economy and the livelihood and food security of coastal villages and settlements. 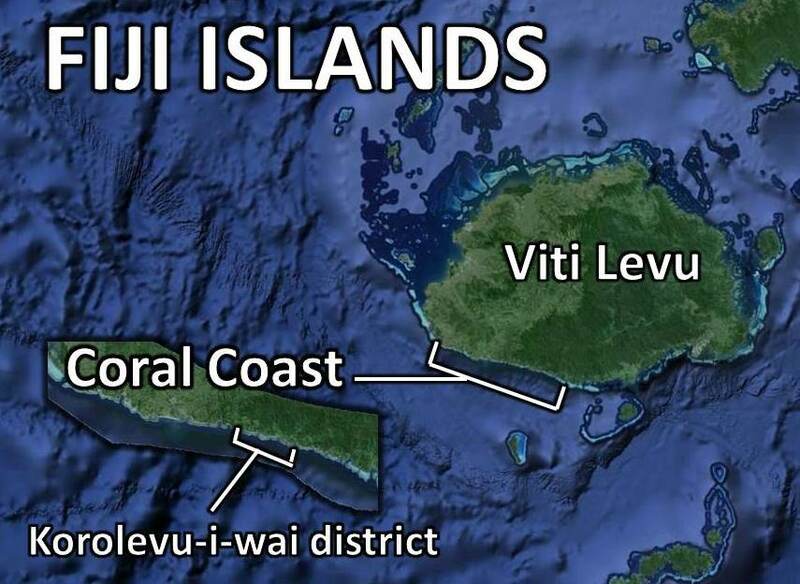 The Korolevu-i-wai district is located in the heart of the Coral Coast and consists of the four traditional villages of Votua, Vatuolalai, Tagaqe, and Namada amongst which numerous settlements, residential areas, and tourism developments are interspersed. Overall, the district has a resident population of over 2,350 people living in more than 420 households, less than half of which are resource owners in the district. Along its shores lie numerous resorts and guest houses that offer over 450 guest rooms, largely on leased native land. The adjacent reef system is approximately 9km2 in area and is the Customary Fishing Ground of the Vanua Davutukia, the native resource owners of the district. The reef system is relied upon by most families in the district to meet their household food requirements, and is particularly depended upon when tourism arrivals and thus employment opportunities and income are down. In 2000, Fiji’s coral reefs suffered from the first-documented widespread, intensive bleaching event that resulted in extensive coral death. Korolevu-i-wai reefs lost much of their living coral with the shallow, backreef lagoon (where fishing and tourism activities mainly occur) being most severely impacted. Local impacts from overharvesting and other destructive fishing practices along with climate-related stressors have severely degraded the reef ecosystem to the point where coral communities have largely been unable to recover from the 2000 bleaching. The once majestic Korolevu-i-wai reefs now have <10% living coral cover, are largely overgrown with seaweeds, and the average catch for hook and line fishing is less than 200 gm of fish/person/hour. The Vanua Davutukia of the Korolevu-i-wai district began with marine resource management efforts in 2002 with the support of the University of the South Pacific’s Institute of Applied Sciences (USP-IAS) and Fiji Locally-Managed Marine Areas (FLMMA) program. A simple, district-level resource management plan that identified perceived threats to the resources and mitigating actions to be taken was developed and adopted. 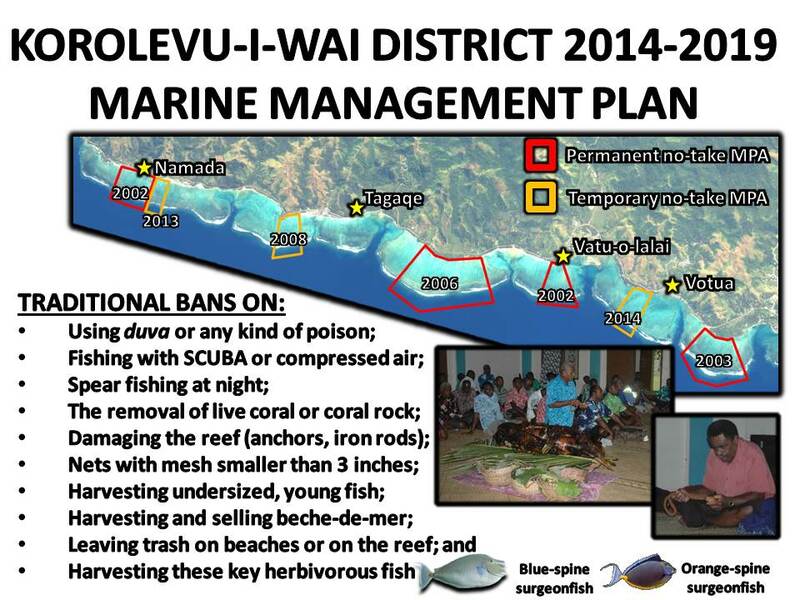 Korolevu-i-wai community-based marine management plan 2014-2019. No-take areas are outlined in red and orange and marked with the years they were established in, traditional villages are marked with stars and named, additional rules that apply for entire fishing ground are listed below, and the two bottom right photos show the traditional ceremony and offering to establish the management plan from 2014 to 2019. © Reef Explorer Fiji Ltd. In 2006, the Vanua Davutukia began working closely with Reef Explorer to implement and review their management plans and monitor the success of their activities. A suite of educational, research, and community development activities were undertaken to address priority issues along with extensive management planning activities and reviews of the community’s marine resource management plan in 2007 and again in 2014. The ultimate goal of the management plan is to bolster local incomes and traditions by replenishing and reviving local marine resources – a grassroots approach to rural development and conservation of natural resources. Management plans are developed via participatory techniques and include the establishment of community-based no-take marine protected areas (MPAs), fisheries enforcement and compliance activities, addressing pollution threats, enterprise development, and biological and socioeconomic monitoring for use in adaptive management of the community’s conservation and development activities. Some 6 to 10 years after their establishment, MPAs now have 500% more live coral cover and 50% greater species richness of coral than adjacent fished areas, little to no seaweeds, and 30% more food fish, 50% more species of food fish, and 500% more biomass of food fish than the adjacent fished areas (Technical Report). Various methods have been used to grow out coral fragments: Top – cone & rack nursery, Middle – disc & frame nursery, and Bottom – rope nursery. Currently, the middle and bottom methods are being used at the five coral nursery sites. © Reef Explorer Fiji Ltd. The development of small-scale coral cultivation and restoration efforts is one of the activities that Reef Explorer has been assisting district villages with. This initiative began in the village MPAs, largely as an educational and economic tool, but has evolved to become an integral and growing part of village management activities, particularly to engage village youth in marine conservation efforts and marine ecotourism. As corals are a keystone species to the reef ecosystem providing essential habitat and otherwise supporting an amazing diversity of life, the restoration of coral communities is necessary for the recovery and resilience of local fisheries and the conservation of marine resources. Capitalizing on the success of MPAs in assisting the recovery of coral communities, small coral colonies are propagated from corals located in the MPAs through fragmentation of selected donor colonies or collection of unattached coral fragments. Fragments are then grown out attached to cement, rope, or wire in ‘coral nurseries’ until they are larger and later transplanted back to the reef at restoration sites. 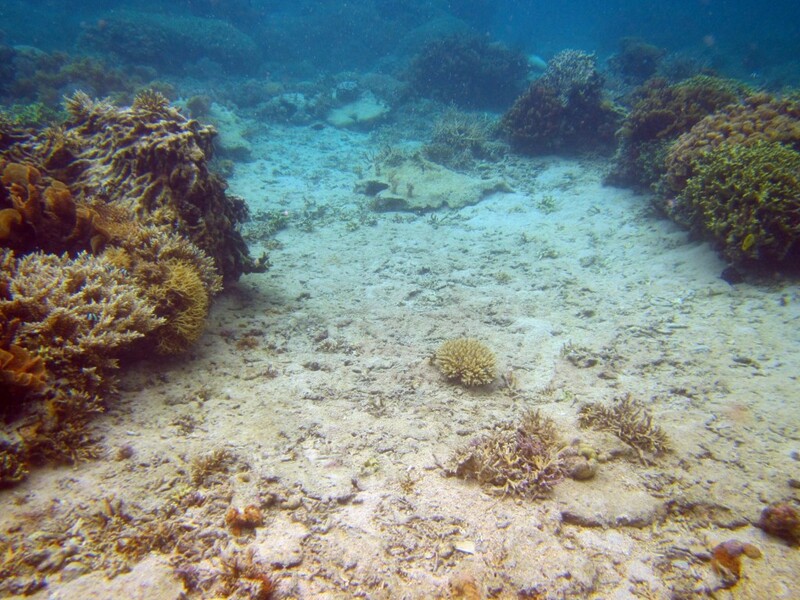 Areas of the reef that are lacking in living corals despite otherwise being suitable habitat are selected as restoration sites where propagated corals are transplanted. By assisting areas of the reef to recover in terms of coral cover and species richness, coral restoration can play an important role in the recovery of the coral communities necessary to support fisheries enhancement and recovery in these areas. 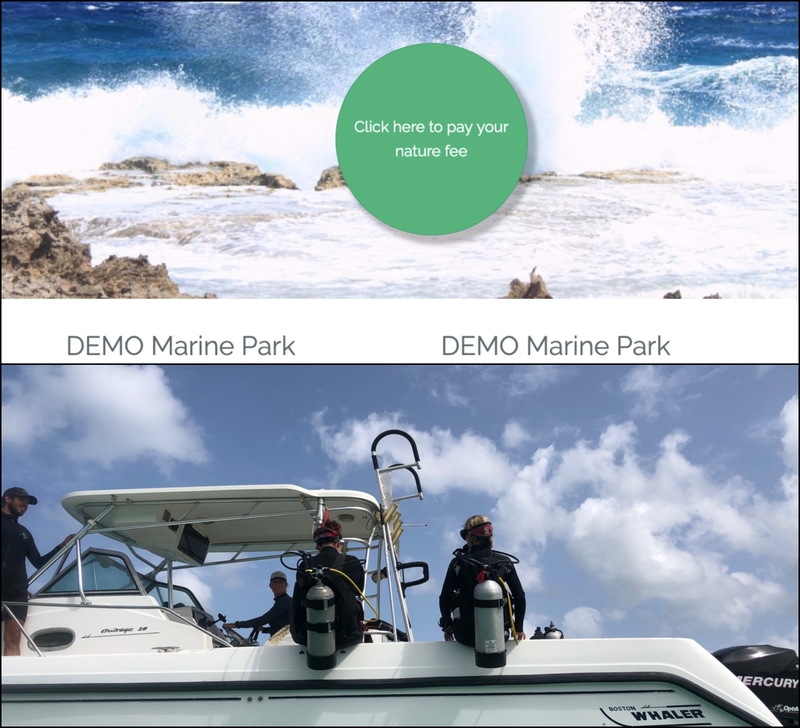 By providing an attraction that can be developed into an ecotourism opportunity for the local community, coral restoration can also help provide economic opportunities that reinforce the sustainable use and conservation of marine resources. A grant from the Sylvia Earle Alliance – Mission Blue in 2015 has provided funding to further develop the coral restoration initiative. Cost-effective, glue-free propagation techniques that have been previously trialed at a small scale have been scaled up. With the assistance of village youth groups, coral nurseries containing 1000+ corals have been established in four Korolevu-i-wai MPAs and one fished location with a total of 7500 new coral colonies propagated in the nurseries. Additionally, this recent effort has vastly expanded the species of corals that have been propagated. Generally, corals of the genus Acropora have been selected for propagation as they are fast growing and contribute greatly to the habitat complexity and overall coral species diversity found on healthy reefs. However, other coral genera (Porites, Montipora, Pocillopora, Echinopora, Merulina, Stylophora, Hydnophora, Psammocora, and Seriatopora) have been propagated as they are dominant genera in the reef community, can be used to help secure and consolidate substrate, and/or are resilient to thermal stress and less affected by crown-of-thorns starfish predation. In 2015/16 during the summer season when seawater temperatures are hot causing annual bleaching events, coral colonies that show tolerance to thermal stress (i.e. don’t bleach when other corals of the same species around them are bleached) will be identified and marked (Technical Report). These corals will be used as donor colonies for propagating new corals in the 2016 season thus helping to increase the abundance and hopefully reproductive success of these thermally-resistant genotypes of corals on the reef. In conjunction with the establishment of the coral nurseries, youth groups are being assisted by Reef Explorer to develop plans and capacity for operating snorkeling tours in their respective MPAs of the coral nurseries and restoration sites. A reef area that is suitable for coral restoration activities. © Reef Explorer Fiji Ltd. Since 2006, over 14,000 corals consisting of more than 25 species have been propagated and transplanted back to the reef in village MPAs and village youth have received basic training in cost-effective coral propagation techniques, reef ecology and fauna, and integrating this work into guiding snorkeling tours. As the coral restoration work has progressed, a variety of international guests have visited specifically to observe the project and assist with coral transplanting efforts including the Governor of Tokyo, Locally-Managed Marine Area (LMMA) country representatives from all Asia-Pacific member countries, American and Australian Travel agents, study abroad programs from at least 15 U.S.-based universities, and numerous international conservation practitioners and marine educators from around the Caribbean and Pacific. 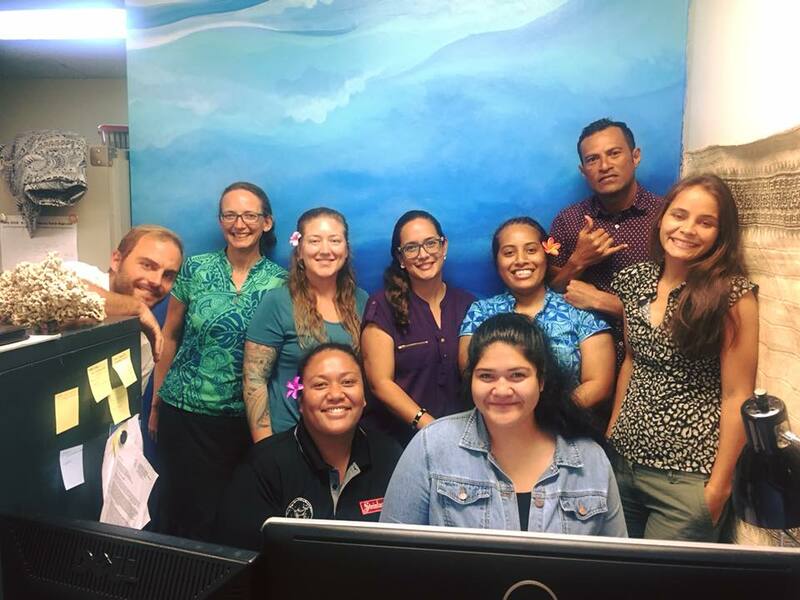 Guest visits have provided thousands of dollars of income to the village fund, village youth, and have been used to further develop coral restoration efforts. Additionally, the propagation technique was adopted by American researchers studying the effects of seaweeds on corals in the district for several years providing further income generating opportunities for the local community through the preparation for and propagation of corals for use in experiments. A reef area and overturned coral heads that have been restored with transplanted corals. © Reef Explorer Fiji Ltd. Helping coral communities re-establish to support local fisheries and coral community resilience. Simple asexual coral propagation methods can be quickly learned and effectively implemented by community members for coral restoration efforts. 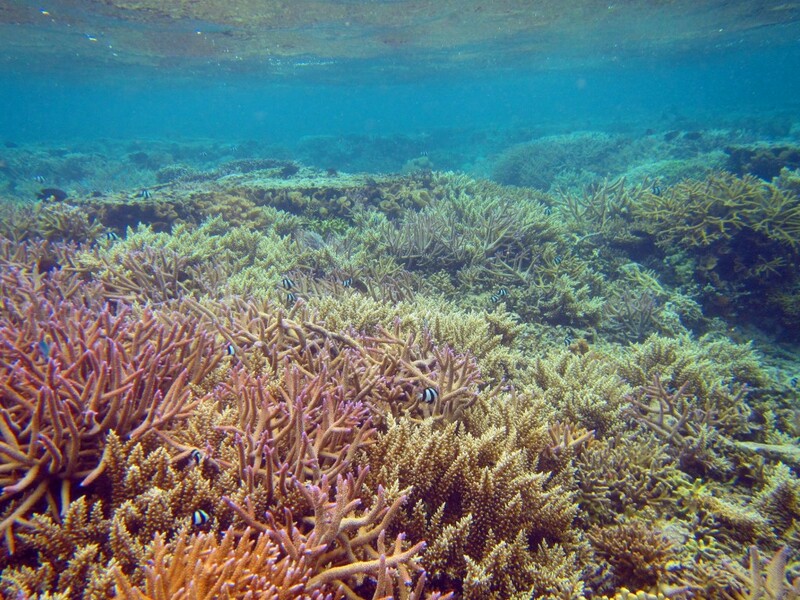 Corals in the genus Acropora, though often utilized in restoration efforts, have been those that are most susceptible to disease and predator damage. Propagating a variety of genera intermixed throughout the nursery helps reduce predation and improves overall success. Restoration efforts are much more effective and successful in well-established no-take areas, areas with good water quality conditions, and/or reef areas with healthy herbivore populations. Strong local governance and community support and participation are critical to the success of coral reef management and restoration efforts. Involving village youth in the efforts along with community leaders and elders promotes compliance and sustainability of the outcomes. Economic incentives foster greater community support for and participation in coral reef management. Combining coral restoration with income-generating activities such as snorkeling tours can improve community interest in coral restoration and conservation activities while providing financial support for the effort. Until 2015, funds to support coral restoration efforts have been sourced and provided by Reef Explorer through the facilitation of associated educational tourism and research programs. In May 2015, the Sylvia Earle Alliance – Mission Blue provided a one-year grant to support the further development of coral restoration activities in the Korolevu-i-wai District, which has substantially aided the continued implementation of the project. Additional funds are being sought to support the implementation of associated research, educational, and ecotourism development activities as well as to engage with youth groups in adjacent districts.